So, I’ll say, let’s have coffee and we’ll go to a small café on a side-street in Italy or Spain or Portugal or France, somewhere far enough south that even in December we’ll sit at an outside table in our coats and catch a little sunshine. I’ll order an espresso and I’ll be wearing a beautifully tailored navy blue coat which will fit me perfectly. 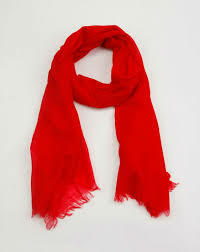 My scarf will be red and tied in an effortlessly trendsetting knot. My hair will fall deliciously, of course, because I will have found the most skillful hairdresser alive who will barely glance at me or what I’m reading while she or he styles my locks. I’ll tell you that I might not be able to see you for a while and I won’t mean to be elusive but, at the same time, I”ll tell you that explaining everything will be like the kiss of death. “It’s not you, it’s me,” I’ll say and the people sitting near to us will snigger into their cappuccinos, or roll their eyes or listen in a bit more closely. I’ll order more espresso, knowing that I’ll need it to ward off the encroaching sleepiness of the afternoon, even though it’s barely ten in the morning. Inside my bag (a pre-loved, ethically-sourced, capacious leather number, possibly chocolate brown or a deep shade of mulberry), there’ll be a stack of pens (you know the ones I love), my drafts of work, my notebooks, my years of unfulfilled ideas. “I really shouldn’t be here at all,” I’ll say. You’ll probably nod and mutter understanding sounds, believing nothing that I say but not minding because that’s your way. You’ll probably even pay the bill. (It’ll be in the days of good coffee being reasonable – we won’t go anywhere near the touristy areas). “Yes, go!” you’ll urge me, giving me a gentle shove (but not as a waspish motor scooter whizzes by). And we’ll say goodbye and you’ll watch me leave, the jauntiness of good intentions in my tread. I won’t turn around but I sense you might just stay at our table and write. Because how else will I know where to find you?